Scientific Industries was founded in 1954 and provides rugged, new generation, reliable laboratory products that are proudly made in the USA. 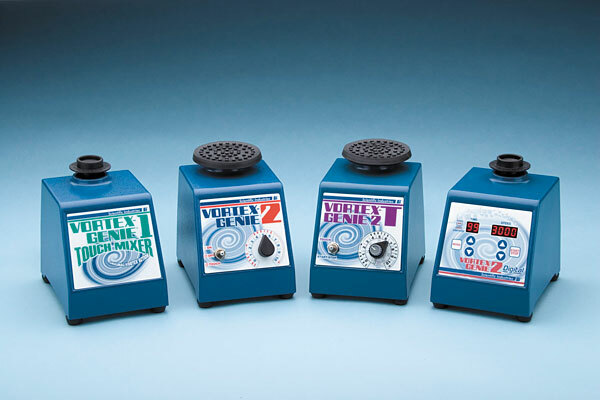 They are the designer and manufacturer of the Vortex-Genie® laboratory vortex mixer and shaker, as well as a complete line of other Genie™ lab products including microplate shakers and mixers, cell disruptor and homogenizers, magnetic stirrers for every need low speed, high speed, single position, multi-position, and large volume, large capacity orbital shakers, rotators, rockers, cell culture incubators, shaking incubators, refrigerated incubators, and hydbrization ovens. Scientific Industries product lines have evolved and expanded over the years, but have maintained their reputation as a “workhorse” and a “must have” in almost any type of laboratory. If you are interested in receiving these products in New Zealand, please contact Anna.